Oregon’s licensed hemp producers are applauding a pending law that will give them exclusive rights to extract CBD from hemp flower using common hydrocarbon methods – a national first. The measure, awaiting the signature of Gov. Kate Brown, also gives Oregonians the right to grow hemp at home. Other marijuana states that authorize home cannabis production either limit that right to marijuana strains of cannabis or don’t specifically authorize hemp production outside a pilot project licensed by a state department of agriculture. Oregon’s bill is the first to give private citizens the right to grow up to four hemp plants without a license. Directs Oregon State University to start work on certified hempseed. Classifies hempseed as an agricultural seed. There’s no data in Oregon – nor any state – about how many people grow hemp at home for personal use, despite legislation in many states limiting hemp production to licensed pilot projects. But one of the main backers of Oregon’s new bill, Portland hemp attorney Courtney Moran, says CBD advocates wanted to make sure that home cannabis growing rights extend to all, not just marijuana growers. The bill replaces the word “marijuana” with “plants in the genus Cannabis within the plant family Cannabaceae” and keeps criminal penalties for people who grow too many plants. The change may seem like a minor bit of clerical bookkeeping, but it could have a noticeable impact on the nascent CBD industry. Many states that allow home marijuana cultivation ban the unlicensed use of butane, propane or other hydrocarbons to extract THC from the plant – a prohibition many states adopted after a spate of home explosions caused by unsafe, amateur hash production. 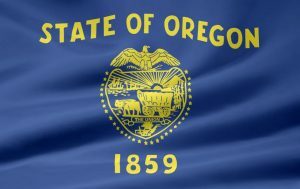 Oregon will be the first state to extend that home-extraction ban to hemp plants, though there have been no recorded accidents connected to CBD extraction in any state. Moran called the ban a necessary addition to the language allowing home hemp growing. Oregon had 170 licensed hemp processors last year, each of whom paid $1,300 for the right to extract CBD from flower. Some of the licensed processors are cheering the new ban on home CBD production using butane or other flammable agents. Wesley Ray, a hemp grower and processor in Bend, Oregon, told Hemp Industry Daily that he’s heard anecdotal reports about “jankety kind of extractions” for homemade CBD. He believes that it’s just a matter of time until an accident happens unless more states expand their laws about making cannabis extracts. He dismissed concerns that the change amounts to protectionism for the licensed hemp processors, pointing out that marijuana processing fees begin at $4,750. “It’s still a hell of a lot less (expensive) to get into this industry than in the marijuana industry,” Ray said.